This 12 Cr alloy is an air-hardening steel. Preheat and postheat treatments are required to achieve welds adequate ductility for many engineering purposes. HBE410-16 is most commonly used to weld alloy 410, but also 403, 405, 414, 416 and 420 alloys. 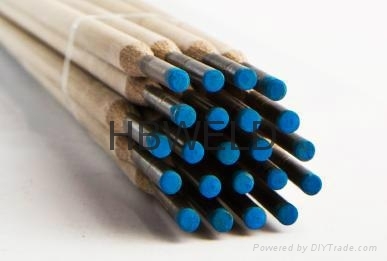 It is also used for surfacing of carbon steels to resist corrosion, erosion, or abrasion.